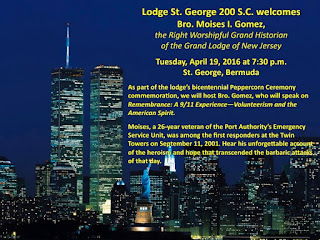 Freemasons For Dummies: Moises Gomez at Bermuda Lodge's 200th "Peppercorn Ceremony"
Moises Gomez at Bermuda Lodge's 200th "Peppercorn Ceremony"
Lodge St. George No. 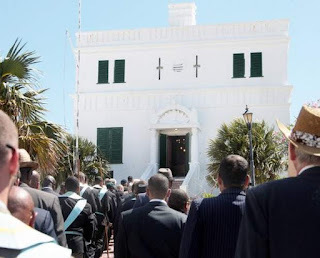 200 in Bermuda, chartered in 1797, is the oldest Scottish Constitution lodge located outside of Scotland itself. The lodge meets in the Old State House in King's Square in St. George, Bermuda, which is the oldest stone building on the island (built in 1620). Since first meeting there in 1816, the lodge has paid its rent annually in the form of a single peppercorn in a special ceremony that includes a state visit from the Governor. 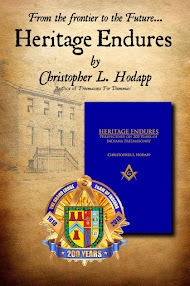 This year marks the 200th anniversary of Lodge No. 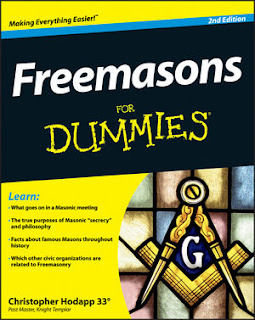 200's unique rental agreement, and this year's Peppercorn Ceremony will be attended by Masonic visitors and dignitaries from all over the world. 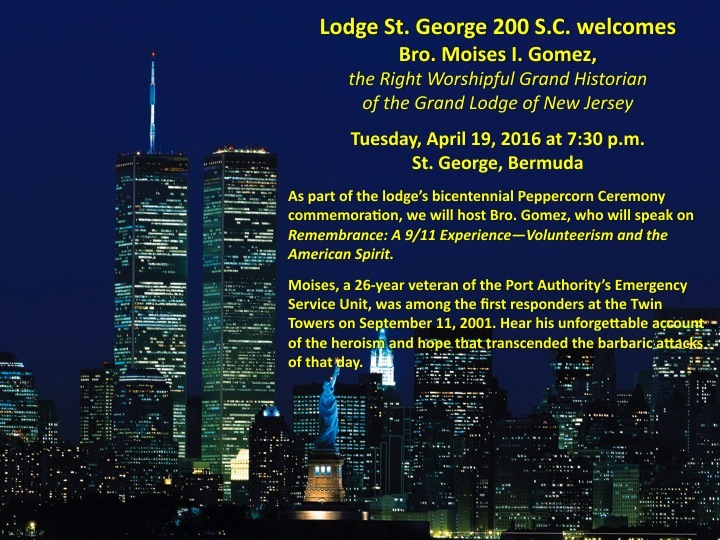 As part of the celebration, RW Brother Moises Gomez, Grand Historian of the Grand Lodge of New Jersey will be speaking on Tuesday, April 19th at 7:30 PM, and making a presentation called "Remembrance: A 9/11 Experience - Volunteerism and the American Spirit." Moises is a 26-year veteran of the Port Authority's Emergency Service Unit, and was among the first responders at the Twin Towers on September 11, 2001. He will relate his very personal firsthand account of events on that tragic day that forever changed the United States and the world. 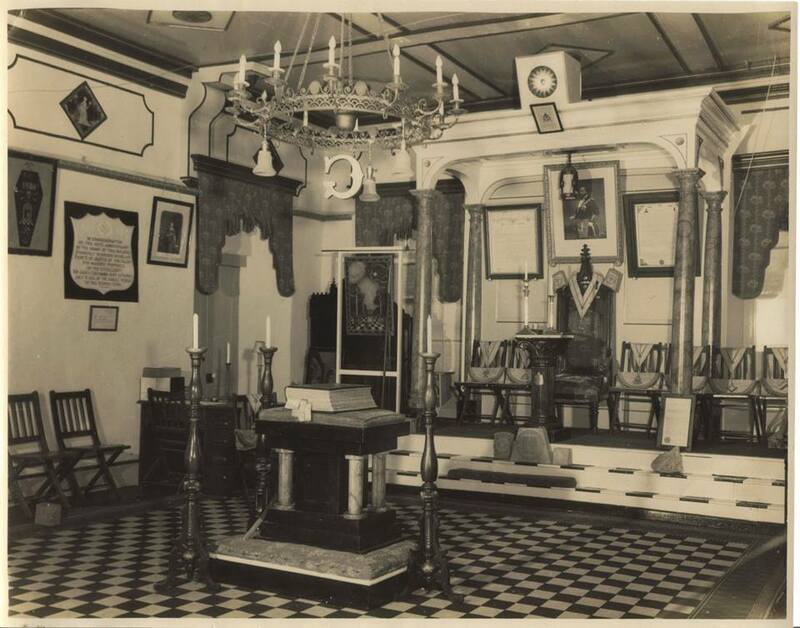 Brother, is the Lodge open for tours?